We have what we think are bat bugs but they look a lot like bed bugs too. Can you tell the difference? I sent a pic. We’re seeing them upstairs in our bedrooms. Some are on the wall and ceiling but they’re also biting the kids so they must be in the room too.We don’t see any downstairs and we seem to be okay during the day. But at night, we’re finding them if you turn the lights on after its been dark for awhile. 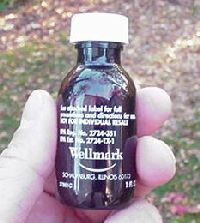 I’ve been told to use your bed bug spray but will this work for bat bugs too? They just showed up after Halloween. The picture you sent is definitely a bat bug. And based on where you’re seeing them, it makes sense. Bat bugs are commonly carried by a range of animals. Most commonly found on bats, they’ll roost where bats are “hanging out”. Literally. So if you had bats hanging on your home’s siding or worse, in your attic, some bat bugs would have migrated off the bats and onto or into the home too. Now once the bats leave for the winter and migrate south, the bat bugs left behind will be forced to forage to eat elsewhere. This forces them to search. If they make it to living spaces, they’ll find where people and pets are active. 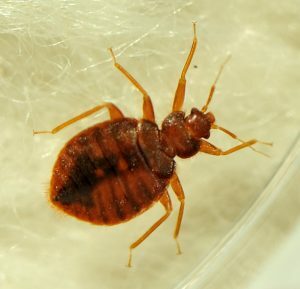 Like bed bugs, bat bugs feed on blood. They prefer to eat at night and very “stealthy”. They’re actually quite fast and once they know where to target someone or some pet, they’ll stage themselves nearby. Common nests sites include but are not limited to areas behind paintings, in cabinets, in dressers, around air vents and inside electric outlet covers. When it gets dark and someone retires for the evening, they’ll forage out to do their deed while you sleep. The good news is our bed bug products will work fine on bat bugs. But there are some differences when treating if you want to knock them out for good. Bed bugs are generally isolated to the living area of the home so you can attack them right where they’re nesting. Bat bugs are different. They’re often times coming from some remote location of the home. In most cases, its the attic. In the big picture, this means just treating your living area would be short sighted. More on this below.. Since bat bugs will generally forage down from attics into living spaces, simply treating rooms where you see them or get bit will not solve the problem. True, you can kill plenty. But they’ll just keep coming back. To solve the problem requires treatments that target their nest sites. To start, liquid spray using MIKRON ADULTICIDE and GENTROL GROWTH REGULATOR. Use this mixture along baseboards, under furniture and around beds. This will intercept foraging bed bugs which target where people like to rest such as beds, chairs and couches. The Mikron will control the foraging adults by killing them a day or two after they move through a treatment. The Gentrol won’t kill any bugs but instead it will prevent young bat bugs from reaching maturity. This effectively ends their life cycle if they cannot reproduce. The other added benefit of Gentrol is that it will translocate. This means it “moves” out over a large area reaching many more bugs and not just the ones you spray. This is critical as the Gentrol will effectively get many bat bugs you won’t reach with just Mikron. Remember, Mikron does not work like Gentrol. It only goes where you spray it. But with Gentrol added to the tank mix, you get much more benefit from the treatment. Add 1.25 of Mikron per gallon of water and plan on spraying this over 1000 sq/ft. Most homes will require 1-2 gallons of mixed material per treatment. And spray once every two weeks until the problem is resolved. After that, treat every 3 months to ensure they don’t return. 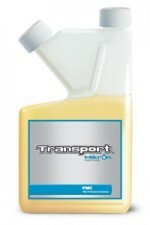 Add 1 oz of Gentrol to the same tank with the Mikron. Use a good PUMP SPRAYER to apply the mixture. Couches, chairs and beds are commonly used by bat bugs as nest sites. Treat these areas by removing cushions and mattresses so you can reach the frame of the piece. 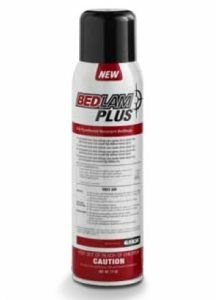 If you’re not comfortable using the liquid mixture due to cosmetic concerns, use BEDLAM PLUS. When used properly, Bedlam will “go on dry” and is well suited for sensitive areas. It uses an adulticide and growth regulator so its just like spraying Mikron and Gentrol. Each can will cover up to 1500 sq/ft. Its good for spot treating in between scheduled liquid applications since its ready to use. This can be helpful if you discover a nest or some activity in between scheduled applications. Since bat bugs usually come from attics, if you don’t treat this space you’ll be prone to re-infestations. Bat bugs will overwinter fine so cold won’t kill them. And if bats or birds come back in the future (which tends to happen), they’ll be leaving more bugs which ultimately will end up migrating down to living spaces too. Dusts are ideal for these areas as they will last 6-12 months and can be applied over the entire space efficiently without causing an issue down below. A good dust for this treatment is CIMEXA. Use 1 lb per 1000 sq/ft. In most cases, one application will solve a problem and last for years assuming your attic keeps mostly dry. 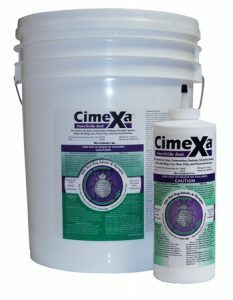 The easiest way to apply Cimexa is using our DUSTIN MIZER. This unit will effectively “blow” out the dust 10-20 feet so you can distribute it over the attic space without having to walk all around. Take time to dust all routes of entry too. Bat bugs tend to start around soffits, just under the roof overhangs, where bats or birds my be roosting. From there they can enter soffit vents and migrate out into the attic or down wall voids. If they route down wall voids, they’ll enter living spaces by crawling out of electric outlets, switch plate covers and light fixtures. Dusting these ports requires a little time because you should remove the cover first. But its easy to do and once dusted, you won’t have to treat it again. Also, dust around ventilation ports. Not in the vent but the space between the vent and the cutout. There is usually a big gap, like 1/4 to 1/2 inch which is covered up by the vent’s frame. Loosening the vent and allowing it to “drop down” from the ceiling or wall will usually reveal the gap and if your home has these spaces, get them dusted too. You’ll need a good HAND DUSTER to make the application. These are easy to use and most outlets will only take a few seconds to dust. We have seen a few bat bugs every few days. Some are dead and some are alive. They started to show up (we think) after we finally got control of the bats (hopefully). Are the above sightings an indication of the overall population and how many could there be? Thanks. How many you might have is anyone’s guess. But you might try installing some Bed Bug traps to see. Closely related to BedBugs, Bat Bugs will readily find these traps and by deploying them throughout the home you should be able to identify the “key” areas where they’re most active. Mind you these traps won’t “solve” the problem but every one they catch will help drop the local population and with any luck, allow you to identify where they’re most focused or concentrated. Now you’re sure you’ve got a significant problem, extensive treating should be done to knock them out for good. That means treating the attic (if the bats were in it or close to it) with the Deltamethrin Dust. I’d also treat the inside entry points with Drione as our article explains. This can do a great job of “excluding” them. Lastly, surface spray carpeting and furniture with Onslaught. What if you suspect batbugs in an attic that has no access to it? What would be the best way of attacking the bat bugs? Make access and power dust with the Deltamethrin Dust and either a Dustin Mizer or Electric Duster. If you look over the space, you should be able to locate a spot where you can make access for dusting. True it might involved a little extra work but the good news is the dust will last so long, it’s well worth doing. And having access to at least look into these spaces is important for many reasons anyway. Thank you for your reply to my last question however I still need help. 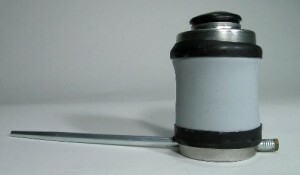 Would the Dustick work for applying powder in a vaulted roof using the bird blocks to gain access? I am trying to attempt to apply the dust for bat bugs and there is no other access other than removing whole roof. Thanks again for your help. It should work fine as long as you have access points close enough to one another. Remember, the Dustin Mizer or Electric Duster previously mentioned is able to propel the dust a good 15-25 feet but that won’t be the case with a Dustick. So to get equal coverage (distribution), you’ll have to have the holes no more than 3 feet apart to insure unilateral coverage. Hello, I have quite a few questions for you and I hope you don’t mind. First off, I have dogs and cats that have bird mites, will treating the house the way you suggested eventually kill the ones that are on my animals? If not what can I use on them, that is in addition to following your instructions listed? I also have fish tanks what would be the best way to secure them from the chemicals? The mites get on me too, they are driving me crazy they get in my eyes and nose, I am so relieved to see a website that tells me how to get rid of these things. I have looked all over and no one seems to know of chemicals that will kill these monsters. I hope and pray these chemicals will work as you stated. Oh and do you guys have someone that would come out and do this treatment or do we just do this ourselves? At this point I will do what ever work I need to so I can get these things gone. Thank you so much for your time, have a great day. For the pets, you’ll need to treat them with one of the pet products commonly used for fleas. These same compounds will handle bat bugs fine. One of the best is Petcor. Treat them weekly till the problem is gone and they’ll be content regardless of what is going on around them. Next, we are a supply shop that sells professional grade pesticides. Many of our customers are pest control companies but we also sell to businesses and homeowners who want to treat their own property. So if you’re inclined to do this work yourself, get what we’ve got listed above and you can no doubt start treating to get rid of this pest. Lastly, fish tanks should be “turned off” during any treatment. That means any air supply pumps should be unplugged when you spray. Additionally, the top of the tanks should be covered with some kind of plastic tarp or plastic bag to insure no chemical splashes into the tanks. Once the treatment is complete, the pumps can be turned back on and the covers removed without danger or hazard to your fish. Good luck and remember you can always call us toll free at 1-800-877-7290 for further assistance. Hi, my name is Kevin M., and I found and read your articles pertaining to batbug removal. I am very happy to have found your website! I will briefly fill you in on my problem; In 2001, I bought an old General Store, built in 1873. During a $142,000 dollar renovation, I was happy to see that there had never been any bats in the huge attic. The building has an apartment on top, which used to be a large, one room, Odd Fellows Lodge. In 1940,the building was lowered 6 feet, and slid back 20 feet, to make way for State Route 78 to be widened and paved. At that time, the upstairs lodge was no longer being used as a meeting place and was converted to an apartment. When I bought the place, the Apartment had not been lived in for 28 years. About that time I added heat, moved into the apartment in 04 and then the attic above started getting bats in 05 (An old house down the road a ways, was torn down, and the bat colony from it, moved in here). I first saw Batbugs in a small cluster, on the side of the chimney, in 07, I called a local exterminator. He wasn’t helpful. I bought another house, and moved out. The bat colony grew. 7 years have passed, since first seeing bats, and bugs, and now my problem is BAD. I am considering burning down the 12,000 square foot structure, to be done with the problem. I have tried everything, to get rid of the bats. They live in the eve overhang, 46 foot up in the air. They also roost and fly around in the huge attic, accessible by a trapdoor in the 12 foot high ceiling. Any suggestions for me? First, you say the house is on state route 78? Is this the same highway 78 we’re located on? If so and the structure is close to our main store location, we should be able to come out and help by doing some onsite consultation as to what you’ll need, how to best use the products suggested, etc. Second, if you were planning on knocking the down structure to rebuild from scratch, then no doubt this will resolve the issue. But no matter how bad it might be, I’m sure we can help you remove the bats and bat bugs for a lot less $ compared to replacing the structure. So for now, I suggest your review our Bat Control article where you’ll see what you can do to first get rid of the bats. This will be the first phase of the cleanup. My best guess it will involve the use of Ultrasound Devices and once the bats leave, closing entry holes, etc. And if you cannot do a full and thorough closure, combining the closure with some netting and/or screening will do the job. Once the bats are gone, you can target the bat bugs which will no doubt be a lot more vulnerable once their supply of food is gone. In most cases, a combination of Drione and Onslaught will solve any problem and if you call, we can give you specific directions on how to best apply them throughout the structure to insure you don’t miss any spots. In most cases, treatments will be needed in 1-2 areas of any home with this problem. But based on the details you provided, I pretty sure you’re going to need to treat as much of the building as you can access. We have a problem with mites or no seeum’s that are in our house. They do not bite but crawl in my hair and body and around our nose. This does not happen all the time but throughout the day. Could you please help us? Thanks. You most likely have fungus flies. These are small flies that are attracted to anything decomposing. In the home they’ll readily live in a recycle bin, garbage disposal sink, compost pile or potted plant. And since they’re attracted to carbon monoxide, fungus flies will readily swarm around our noses, eyes, hair, mouth and other moist areas of the body. The good news is they don’t bite and they’re easy to control. Space spray rooms with activity using PT-565 in the morning and evening before you retire. This will usually knock them out after a few days of regular treatments. 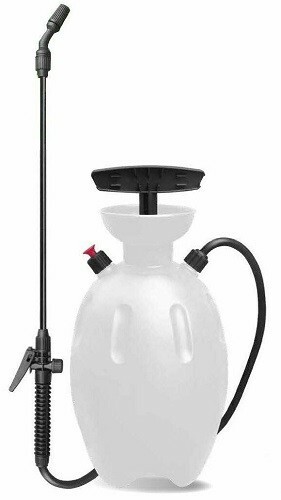 Alternatively you can set up one or two Aerosol machines with some Purge 3 refills. This pyrethrin based material will work like the PT-565 but when used in the machine, it gets applied automatically so you don’t have to remember to treat. Set one machine up per room and configure it to release a one second blast of pyrethrin at least once an hour. Lastly, set up a Flyweb Light Trap. They work great for fungus flies and can really help at reducing local populations in the home. I seem to have controlled the environment but need to get the stinging bird mites off me. Do you have anything for that? We have three options that can help. First, to Deet Lotion can keep them off teated skin. Use daily as needed. Second, treat mite bites with Sting Relief Swabs. This treatment takes the “itch” out of existing bites already on the skin. Third, use Genes Cream instead of either of the aforementioned. Genes cream basically will repel the mites and soothe the skin making it the “one lotion option”. So if you want just one topical treatment to apply, go with this cream. Thank you sooooo, much for the information. I have been struggling with bat bugs for almost 2 yrs. The m;an I live with didn’t believe that there were bats, finally he heard them…… But, not until he has been bitten a lot, did he start listening to me… When this first started, we thought it was bed bugs from a recliner we had bought from a second hand store, which were in one room. We also got rid of box spring & mattress.